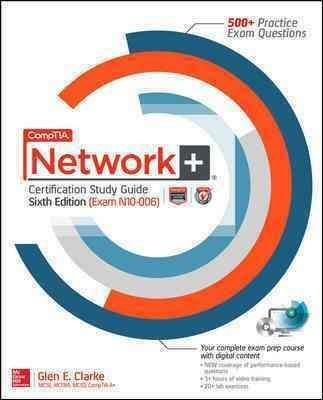 The best IT certification exam study system available for CompTIA Network+ Exam N10-006With more than five hundred practice exam questions, including new performance-based types, hours of video training, and lab exercises, CompTIA Network+ Certification Study Guide, Sixth Edition (Exam N10-006) covers everything you need to know to prepare for this challenging exam. Save 10% on any CompTIA exam voucher! Coupon code inside the book.